Perhaps from understanding what you shouldn’t do you might already be forming an idea about what you should. However, in this article, I am going to expand upon the correct way of building a list of prospects to whom you can market using e-mail. Once people voluntarily subscribe to your list and confirm their desire to do so, you are truly beginning to build your business. Let us therefore look at how this is done, step by step. The basic central concept of marketing using e-mail is that once someone voluntarily joins your mailing list, they have given their permission to send them information as often as you want to. This is a fantastic opportunity to present information to this subscriber on a regular basis, because it is a widely accepted fact within the online marketing community that in order to persuade people to buy your product or service, it is necessary to present the idea to them something between seven and twenty times. Hence, if someone chooses to subscribe to your list and you decide to send only one or two messages, you are going to enjoyed very limited sales success from what is a very limited amount of effort. It is far more powerful and it will ultimately be far more successful to send a constant stream of e-mail messages to this prospect in which you recommend products and services relevant to the subject in which you know they are interested. For instance, if you have a tropical fish website and someone subscribes to your mailing list through that site, you immediately know that this individual is interested in matters pertaining to tropical fish. Hence, you would send them a constant stream of tropical fish related recommendations and suggestions because at some point, it is likely that they will accept your advice and spend money with you. Once someone has given you their permission to send them information, you can send whatever you want as often as you like, with the frequency of your messages being entirely up to you.There is no generally agreed format for how often you should send information, with some extremely successful marketers believing that you should send two or three mail messages every day, whilst others (the majority) tend to send the same number every week. But, irrespective of how often you choose to send mail messages to your list members, the most important point is consistency. If you start off by sending two or three messages every day, then you have to continue to do so, and the same applies if this is the number of messages you send weekly. For the purposes of an illustration, let’s assume that you’re going to send an e-mail to your prospects every three days. When you first start your e-mail list building efforts, sending an e-mail to your prospects every three days is not going to cause a great deal of problems, because you have no-one on your list. When you have only three or four list members, it should not be particularly difficult keeping track of where each individual is in the outgoing mail sequence. But as soon as you start building a reasonable head of steam so that you have a handful of members subscribing to your list every day, then it will very quickly become entirely unmanageable if you’re trying to do the whole thing manually. From the beginning, it is therefore essential that you automate your mailing list building efforts with a tool or resource known as an autoresponder. The basic dictionary definition of an autoresponder is that it is a software program that answers your e-mail for you, and whilst it is true, in online marketing terms, it is more of a central management tool. For example, a little further down the line, you could have 1000, 2000 or even 10,000 names on your prospect mailing list, and every one of those individuals will have joined your list at a completely different time. Hence, every one of those individuals is at a different ‘stage’ of the outgoing e-mail sequence but your autoresponder can handle this without any problems. You must automate from the beginning by having an autoresponder. We will analyze autoresponder’s in a little more detail later, but for now,all you need to know is how you set this autoresponder up in the beginning. The first thing that you need to do is create your outgoing e-mail message sequence. How long into the future you choose to do this for is your own decision, but I would recommend that you have a least the first three or four months e-mail messages written before you launch your list building activities. These messages are then loaded into your autoresponder account so that they are automatically delivered to anyone who chooses to subscribe to your mailing list with no further input from you. You then use the autoresponder to create the subscription form which you will copy and paste onto your website. This subscription form is automatically linked to your autoresponder account so that when anyone chooses to add their e-mail address and name to your form before hitting the ‘Subscribe’ button, that action automatically sends the information to your autoresponder, not to your standard e-mail account. Because of this, the autoresponder is now in a position to take over by sending the first e-mail message to this new subscriber with subsequent outgoing e-mails already loaded and ready to be mailed to their inbox on autopilot. For example, many people make a reasonable online income by creating information websites that feature paid advertising. When a visitor comes to that site, they are not interested in buying any product or service because there is no product or service available to buy. However, if they click on any of the adverts on any page of the site, this makes money for the site owner in question. With a site of this nature, it is very common to see web masters who include a mailing list subscription form on every page, often featuring this subscription form at the top left hand corner of the page which is statistically the first place most net users look on any given webpage. In this scenario, the attempt to entice someone to subscribe to your mailing list is likely to be fairly low key and more ‘softly-softly’ than it might otherwise be. If someone chooses to add their name to your mailing list, then it presents you with an opportunity to start making product suggestions and recommendations. However, even if they do not subscribe, you can still make money every time the click on an advert. On the other hand, if you do have something for sale, then that is your primary source of income. Given that people have to be presented with your product offer somewhere between seven and twenty times before they finally make the decision to purchase, it is far more important for you to grab someone’s e-mail information in this situation. Consequently, it is likely that you would have a page on your site known as a landing or squeeze page which is designed to do nothing other than collect e-mail information. There will be little on the page other than the subscription form and some written content focused on encouraging the visitor to subscribe. And of course, there may be situations where you would include both types of subscription form on your site. You might have information pages where the subscription form is added at the top corner of the page as well as a landing page which is 100% focused on generating new prospect list members. With your autoresponder driven automation system in place and a subscription form on all of the relevant pages on your site, you are ready to start adding new prospects to your mailing list. In order to do so, you have to start sending prequalified, targeted traffic to the appropriate pages of your site as suggested earlier. The art or science of driving targeted traffic to a website is a topic in itself, one which would justify a book two or three times the length of this one on its own. There are literally hundreds of different ways of sending targeted traffic to a site ranging from using paid advertising such as Google AdWords to writing articles for free submission to directories like EzineArticles,creating videos for submission to YouTube, sending information to social networking sites like Digg, StumbleUpon and so on. Fortunately, there are also dozens of websites where you can pick up all of the traffic generation ideas, strategies and tactics that you could ever need and the majority of them are providing this information for free. Try searching Google for any of these phrases – ‘driving web traffic’,‘targeted traffic to website’, ‘targeted traffic forum’, ‘free traffic generation methods’ or something of this nature, and you will quickly discover that there is no shortage of information available. When focused on generating targeted traffic, it would be most common for list building purposes to send as many of those visitors as possible to your landing page, a page which is designed to do nothing other than collect your visitors e-mail information. The more effective you can make your landing page, the more people you will be able to convince to sign up for your mailing list. From this, it naturally follows that the more people there are who sign up for your list, the quicker your business and your profit levels will grow. There are lots of different ways that you can create effective landing pages, but the essence of most of these pages as used by mailing list builders is generally pretty similar. 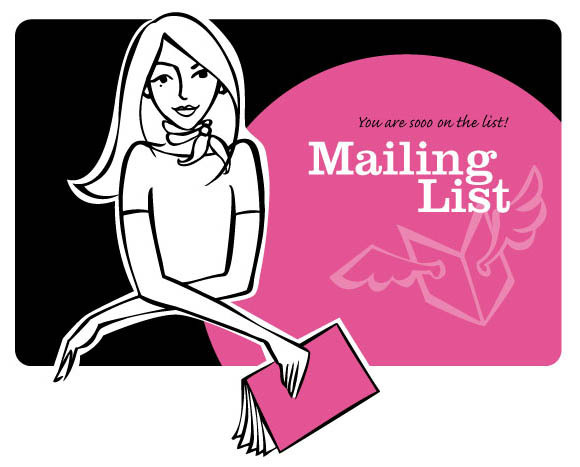 This revolves around the concept of offering the visitor who is presented with your landing page a powerful reason for subscribing to your list.In times gone by – even as recently as a couple of years ago – if you offered the visitor a free subscription to your weekly or monthly newsletter, it would often be sufficient to convince them to sign up for your mailing list. Unfortunately however, those days are long gone. Nowadays, it is almost a given that you have to offer the visitor who comes to your landing page a free gift or ‘bribe’ that obviously has sufficient perceived value to overcome their reluctance to give you their e-mail information. This will often be some kind of short report that discloses ‘hidden secrets’ or ‘insider tips’ about the topic that brought that visitor to the landing page in the first place. In other words, if it is a landing page on online dating site, then the free gift might be a special report specifically targeted at those who are looking for online dating information. The important point about this ‘bribe’ is the value or attractiveness has to be strong enough to overcome the visitors reluctance to give you their e-mail information during the subscription process.We have already seen that spam is an ever-increasing problem for all of us, and the visitor to your landing page is no exception to this rule. Consequently, it is natural for them to be a little reluctant to provide their e-mail information unless you give them something that is persuasive enough to overcome their reticence. Fortunately, creating a product of this nature is remarkably easy, a job that can be done in less than an hour using entirely free resources.Firstly, visit a free article directly site like EzineArticles to search the site for information that is appropriate to your subject matter. Assuming that we are to continue with the tropical fish example, this is the term that you would search. This search indicates that there are 3880 articles related to tropical fish featured on the site. Have a look at a few of the articles to find a dozen or so that are likely to be of interest to anyone who is passionate about tropical fish. When you find articles that you think are appropriate, click on the ‘Ezine Publisher’ link at the top right hand side of the page next to the title. This enables you to download the article in question, and as long as you include the original authors information, you can republish this article in any way you like. With a dozen or so similar articles, you’re going to create a short report by collecting them together, adding a one or two page introduction that you write yourself (which includes your contact information and website URL) before publishing the whole thing as a PDF document. Write your short introduction, and then add each individual article to the same Word document. Make sure that each article begins on a new page and that you are including the original author’s information with every individual article. If you can find an appropriate royalty-free image, add this to thel title page together with the title and the URL of your site (once again) before using a free PDF creation program like PDF995 to bring the whole thing together in a professional PDF document. You now have a unique free report to give away to all of you visitors in return for their subscription information. This would be added to your website and the link to the download page would then be included in the first outgoing message which your autoresponder would send to your new subscriber. Let us therefore look at effective landing pages in a little more detail by considering the type of landing page which you might create. In terms of collecting e-mail information for online marketing purposes,it is most common for the majority of businesses to use either a text only landing page, or one that features a video message plus text. Whichever option you choose – and what will be most effective for your own business is going to be dictated by the kind of business you are running, the market you operate in and so on – there is one essential thing to understand about your landing page. It is designed to do one job and one job only, and that is collect e-mail information from your visitor. You should not therefore be tempted to add advertising materials that might add a few cents to your bank account if someone clicks on them.This is a distraction and it offers your visitor an alternative to subscribing to your mailing list. You do not want to offer alternatives in this way. Your visitor must be presented with only one choice – they either subscribe to the list, or they close your page without doing so. Hence, you do not want any other kind of distraction on your landing page either. If you are using a video landing page, then obviously you need to include a video, but other than that, keep the page as plain and simple as possible. Do not add unnecessary graphics, moving images or anything else that is likely to distract the visitor from what you want them to do. Whilst this might stymie your more creative urges, having an extremely plain, ordinary looking landing page will do no harm to your business whatsoever. As you would probably expect when using a video landing page, the majority of the ‘pitch’ for the free gift that you are giving away in order to convince your visitor to sign up is contained in the video itself. Consequently, the video contains all of the most important information,such as what they will discover in the special report that they can get free from you, why they should do so and the call to action that instructs them to add their e-mail information to the form opposite. However, also note that there is some written content on a page, which is important if this is a page that you want search engines to index and rank in their results. Search engines cannot ‘see’ information that is contained within a video, so if there is no text on the page, it to all intents and purposes appears as if there is nothing on this page as far as the search engines are concerned, even though there might be a video or even several videos. As suggested earlier, there is no specific format for landing pages that works out better than any other, so it really is a question of testing various different types of landing pages to establish what works best in your market. Whilst there is no doubt that video landing pages are becoming increasingly popular, they are a little more complex to set up and use and there is no guarantee that video is going to work best for you. So, you should try testing videos against text only landing pages to establish what is most effective in your business. Once you have done this, the next step is to start changing the text on your page to see if you can improve the effectiveness of your message, irrespective of whether that text is on a stand-alone, text only page or accompanying your video. One final test that you might want to try is instead of asking your visitors for their name and e-mail information, ask them for their e-mail information only. After all, there is no real purpose in knowing their name – you are only ever likely to communicate with them via e-mail,so their name is something of an irrelevance – whereas in testing, it does seem that asking only for the e-mail information is likely to attract more subscribers. I am guessing that this is because asking for only one piece of information rather than two cuts down the effort required to subscribe by half, and because you do not ask for their name, you allow your visitor to retain a higher degree of anonymity if they subscribe. From what I have seen so far, this strategy seems to work in terms of increasing subscribers from a landing page that is otherwise exactly the same (one with two subscription boxes, one with only one), so it is definitely something that I would recommend you try. This entry was posted in Internet Marketing and tagged building a list, concept of marketing, mailing list, market using e-mail, online marketing, Start Building Your List, subscribe to your list. Bookmark the permalink. Follow any comments here with the RSS feed for this post. Post a comment or leave a trackback: Trackback URL.